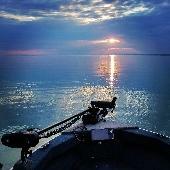 Mid summer walleye fishing conditions seem to have returned. Several good catches from early morning trips to west of the Cattaraugus are seen. 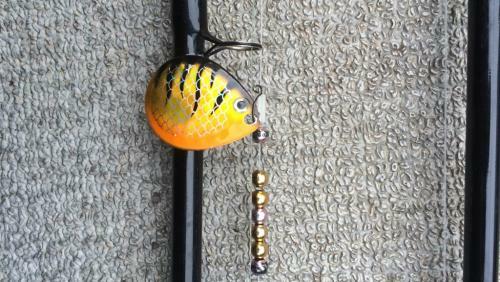 65 to 85 foot of water, dipseys, riggers and many colors of leadcore. 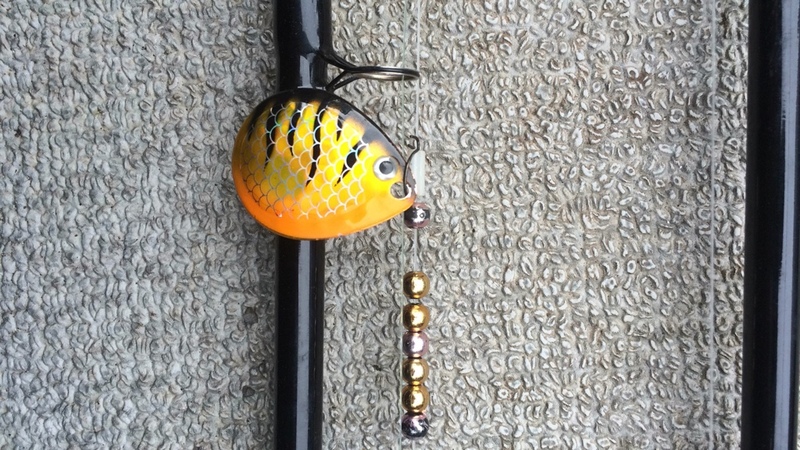 Harnesses and stick baits are working well. We're gonna be out tomorrow (sunday). Just Tryin to decide where to go. No info from today with the small craft warnings. My gut says go to dunkirk and fish the hill in 65-75fow to start. Were not going to launch till about 11am, plan on fishing till dark. Better weather report for the afternoon. Any opinions appreciated. G-Man crew led by Capt. 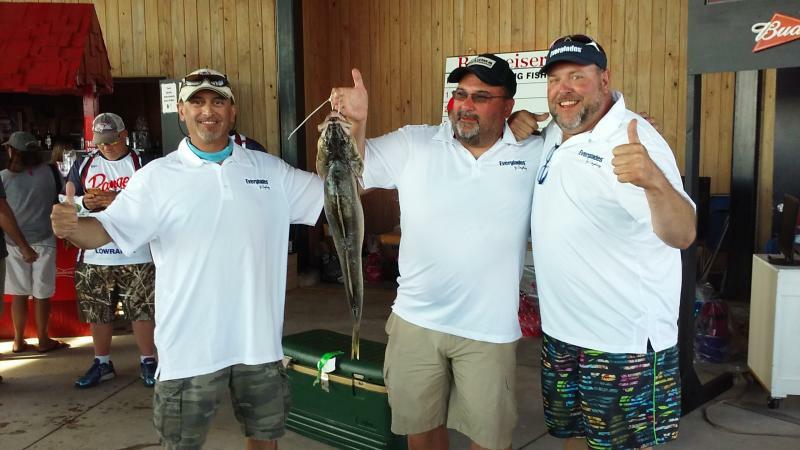 Greg Marczec won with ten fish over two days weighing in at 59.14 pounds. The full story by Gene Pauzek in the Monday Dunkirk Observer. What has been working best out in Dunkirk? Heading out there tomorrow and see sticks and harnesses are both producing, has one out produced the other? Are they still around 70 fow? We fish out of Dunkirk and got 2nd in Rob Ray tourney. We were leading after day one and just couldn't get that last 7lber to win it. We fished off the trench in front of Portland towers. Friday we caught a bunch on 5 color with harness and a bunch off divers set back on 3, 180 ft back. Saturday same deal did around 15 eyes five biggest being 30.8 lbs. With conditions thought we would be in the running but not 1st. 2nd day rough as hell and fished same area and the fish moved down deeper with ten color being most productive. Pink purple Rynowsky's and watermelon harnesses did trick in 65 to 75 ft of water. We were the bridesmaid. Hopefully the sunset nay shootout will be our day. Fish are scattered throughout water column with no set pattern setting up. There are fish from top to bottom. Congratulations to TEAM ICEBREAKER- Captain: Randy Jaroszewski- Hamburg, NY, Jon Jones- Angola, NY, and Bryon Ball- Derby, NY ! 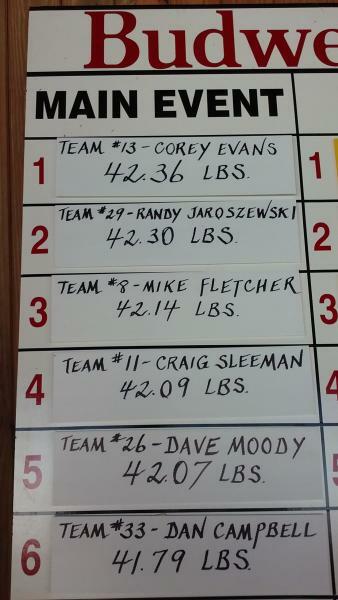 Main Event: 2nd Place- 6 Fish 42.30 lbs. Calcutta: 1st Place- Big Fish 8.74 lbs. Team Icebreaker would like to thank everyone involved in hosting such a wonderful event ! 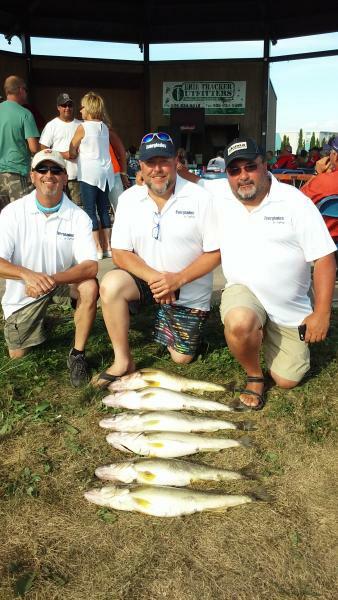 Special Thanks to Erie Tracker Outfitters and Sugarloaf Marina for having us Yankees over on your side of Lake Erie ! Managed a 2man limit today west of SP. Rough seas and a bilge pump workout were our lake conditions. 9-10 color got honors. Great catch Greenhad!! What FOW was good west of SP? Get em on sticks or harnesses? How far out west of SP? We did Dunkirk on Tuesday and got seven, mostly on renosky's in 70 fow. 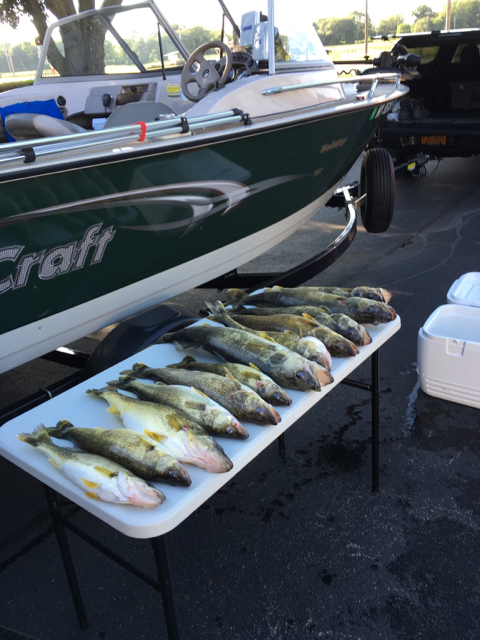 Could have done better but dragged a few white bass without releases in the morning due to chop and boards. 70ish on sticks and harnesses. Nice job guys! Great pics.